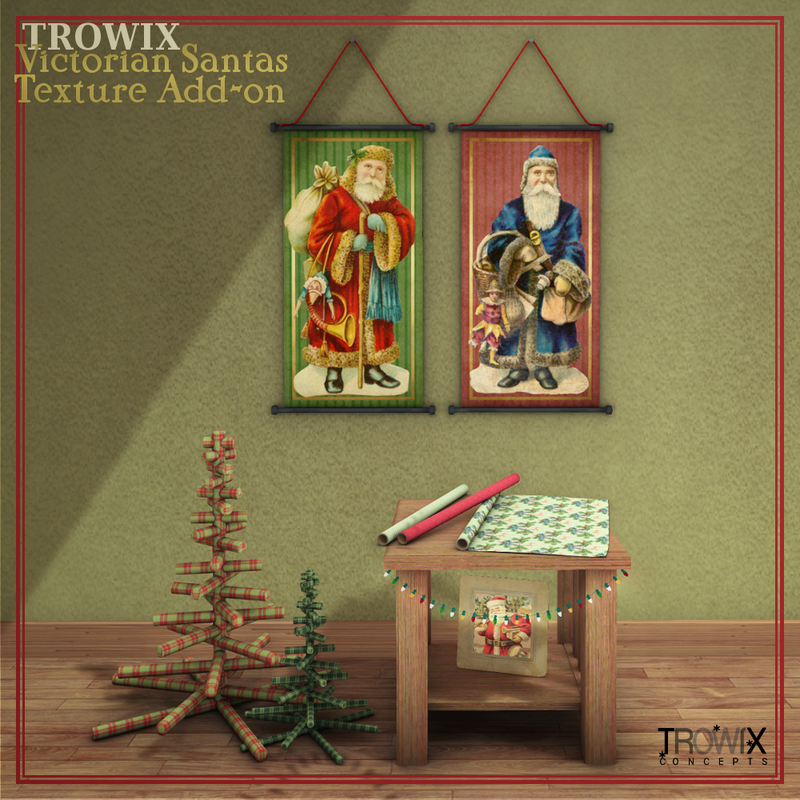 Santa art from Victorian postcards and paper dolls will add unique charm to any holiday setting. 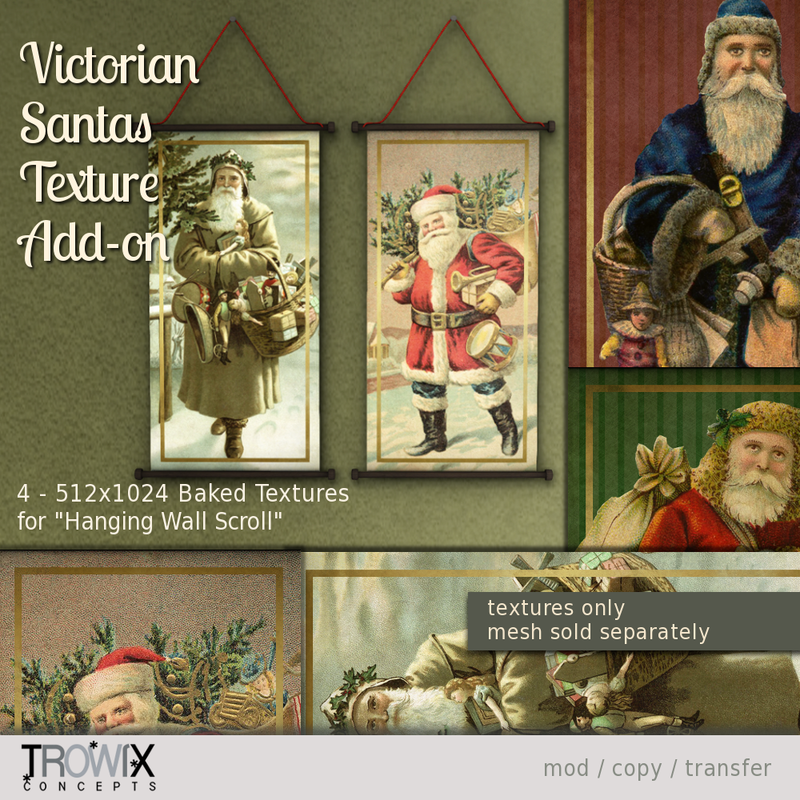 Our texture add-on for “Hanging Wall Scroll”, is 4 fast and easy baked textures for quick decorating and texturing. and on Second Life Marketplace, sold here. “His eyes—how they twinkled! his dimples, how merry! 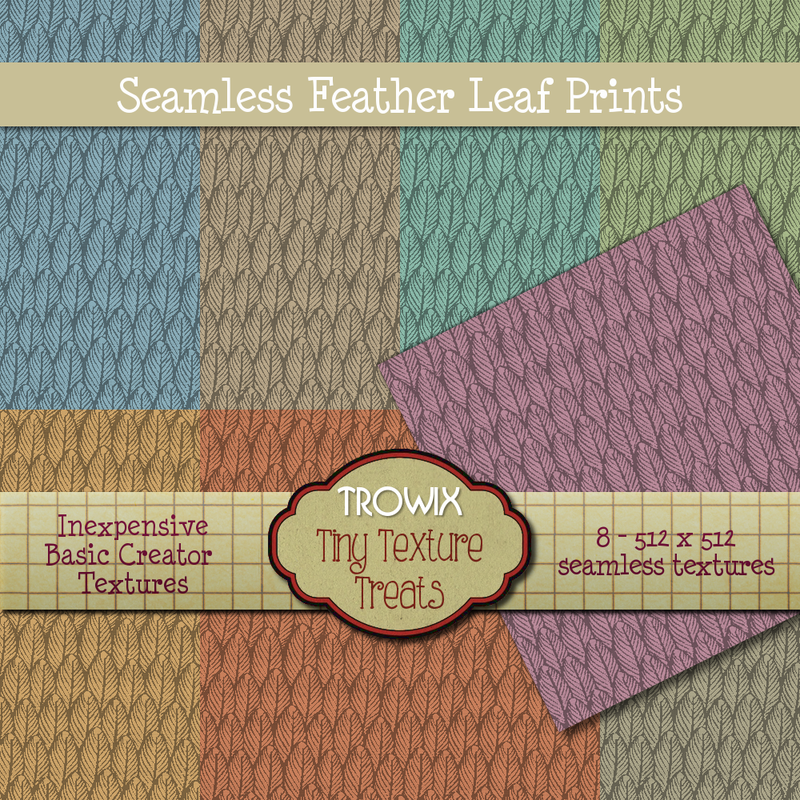 Feather Leaf Prints – Tiny Texture Treat! 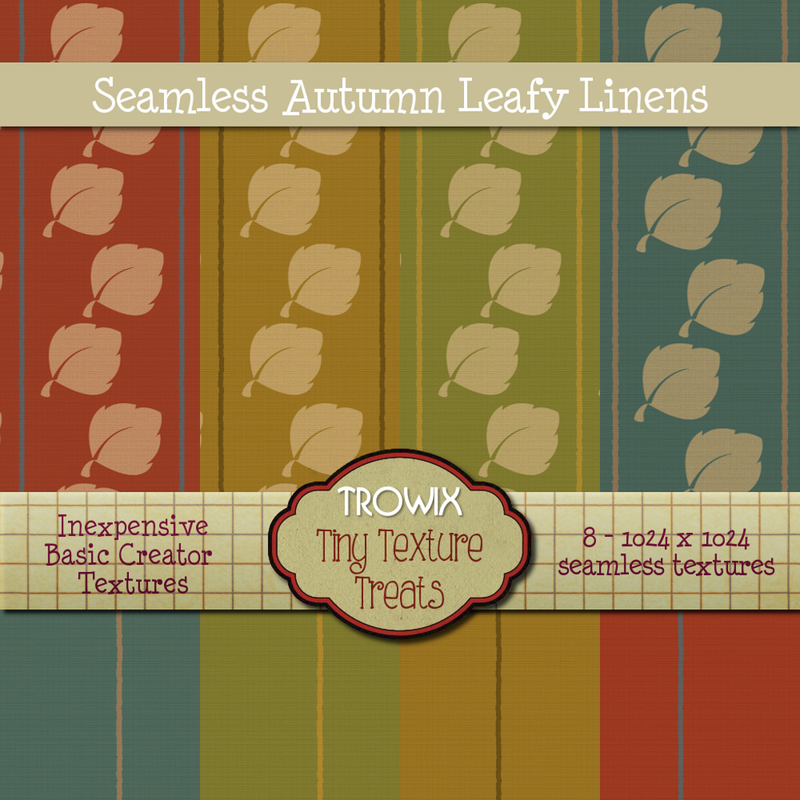 Seamless Retro-Style leaves in warm, soft colors wonderful for tailored suits, dresses, furniture or backgrounds. Totally seamless. 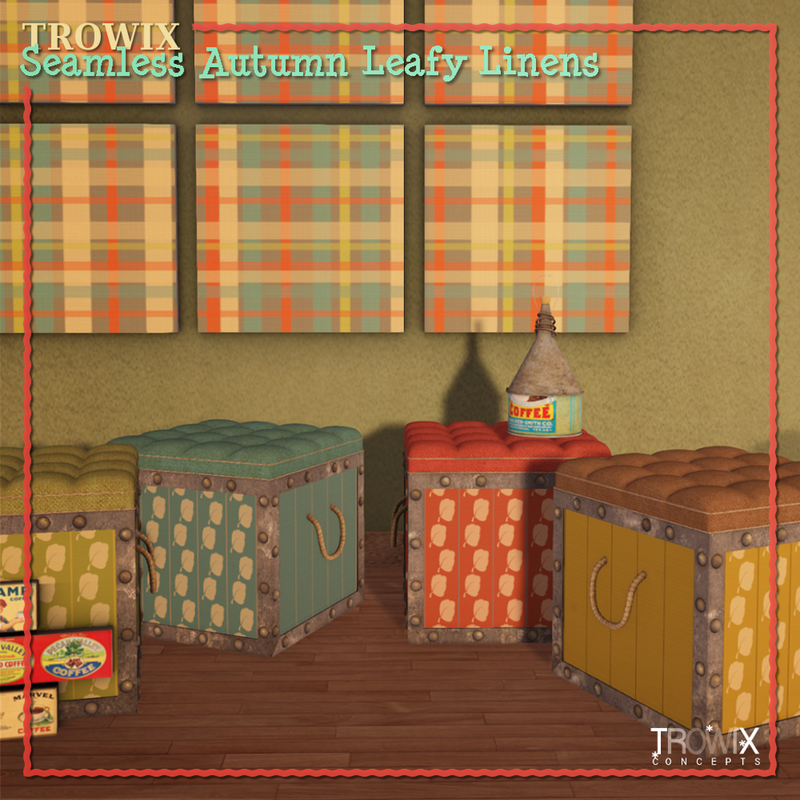 and on SL Marketplace, soon. 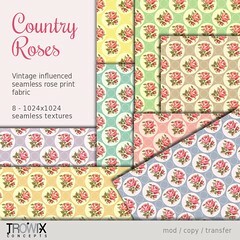 Based on a lovely old quilt, this fabric design would be stunning for your clothing and boudoir projects. 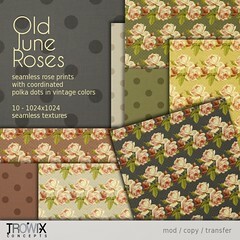 Rose prints and stripes with a 1940’s retro look in soft vintage colors. 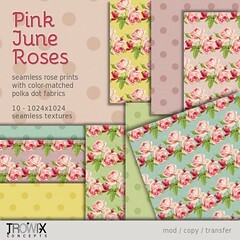 4 seamless designs in 5 soft muted colors. Shaded versions are also included. Stop by – Take a Sentimental Journey! Retro style leaves with tiny stripes in pretty fall colors paired with pinstripes for pretty dresses, curtains, and home goods. Totally seamless. 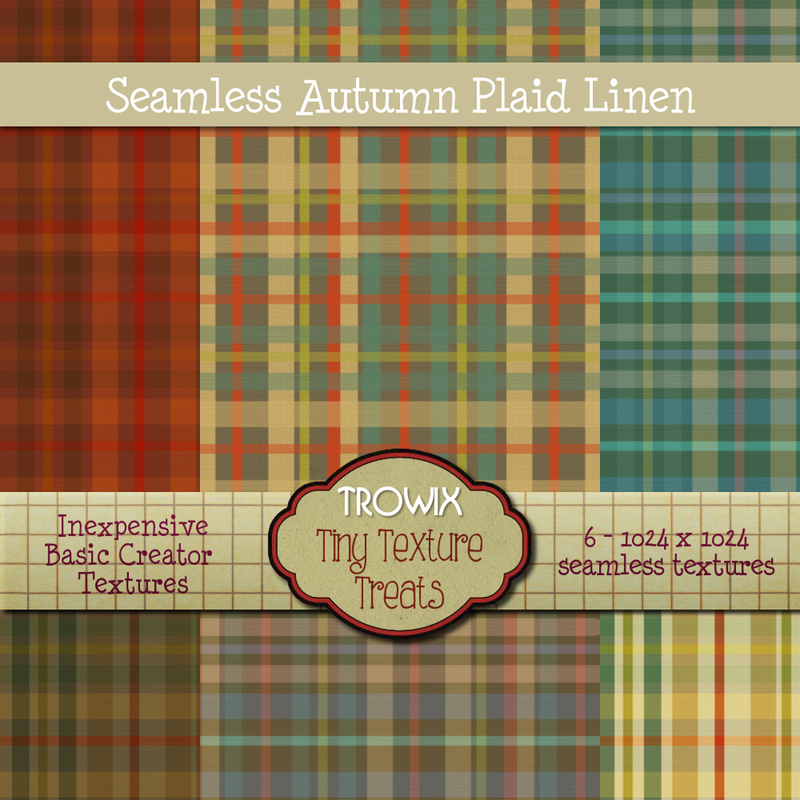 Also, seamless plaids in vintage-y fall colors for pretty dresses, curtains, and home goods. Totally seamless. 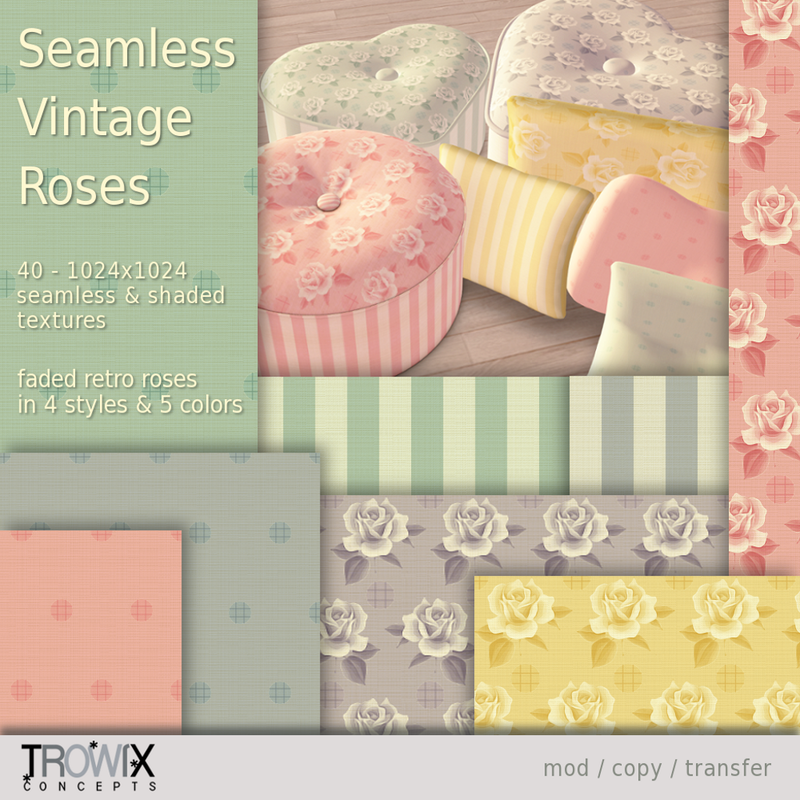 These are from our ‘Tiny Texture Treats’ line – only $L50 for each texture pack! 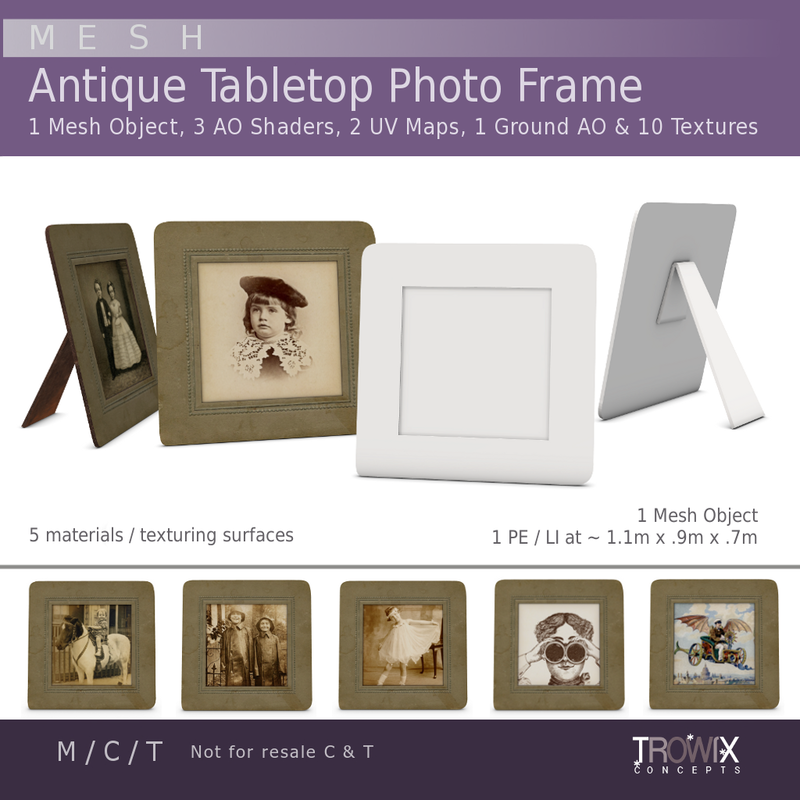 and on Second Life Marketplace – soon. 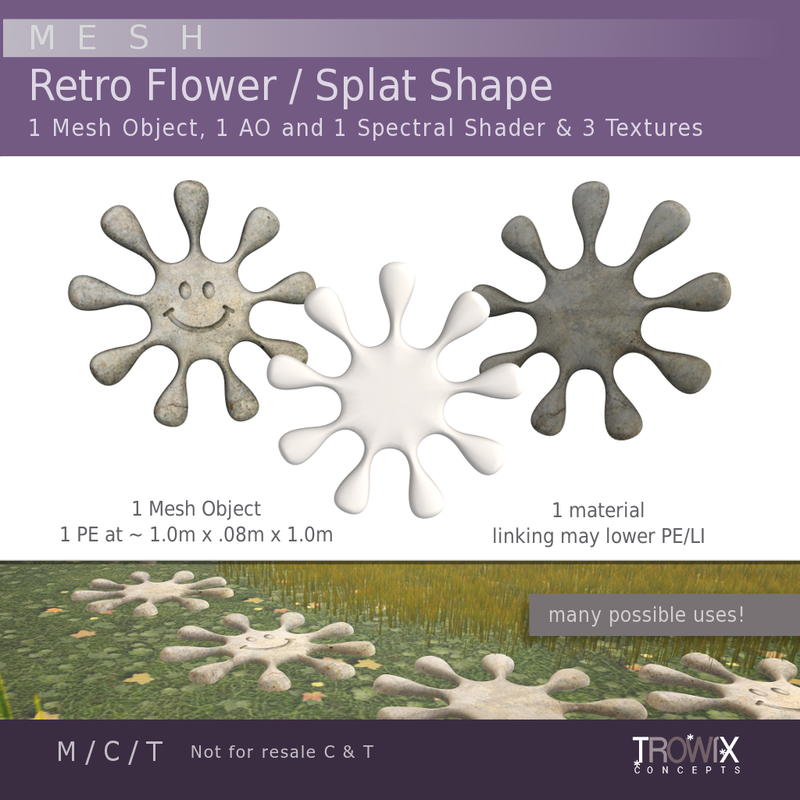 Presenting a cute little Hippie flower or splat shape, for your creative ventures. 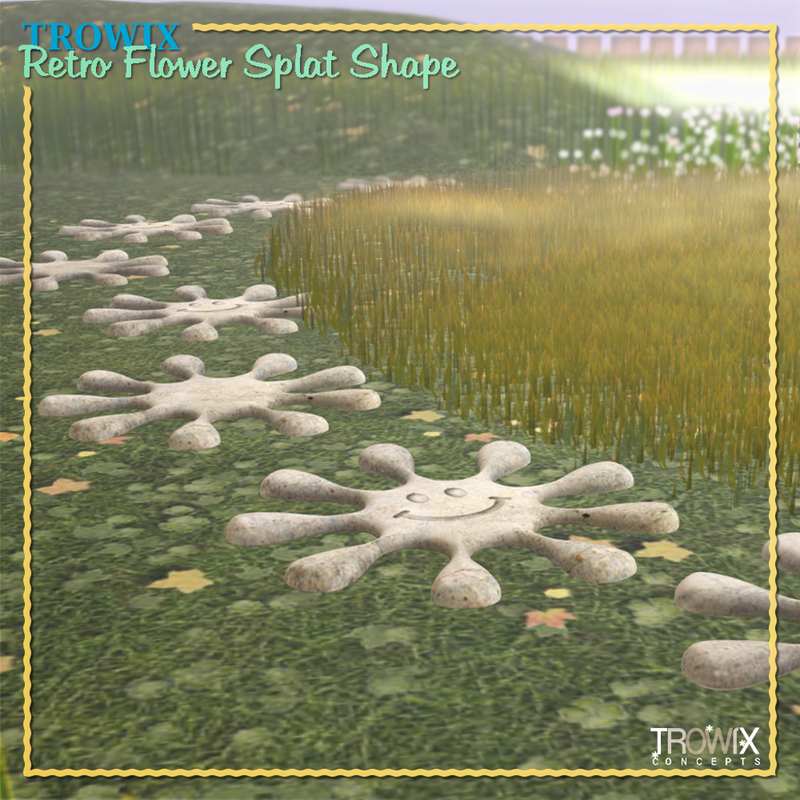 While we have included fun concrete ‘stepping stone’ textures, these could be used to customize our “Kawaii Splat” necklace and earrings. We have also made helpful signs in bright, eye-catching colors. 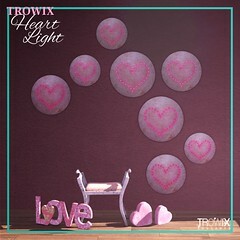 There are 10 designs in light and dark and a blank texture for customizing. 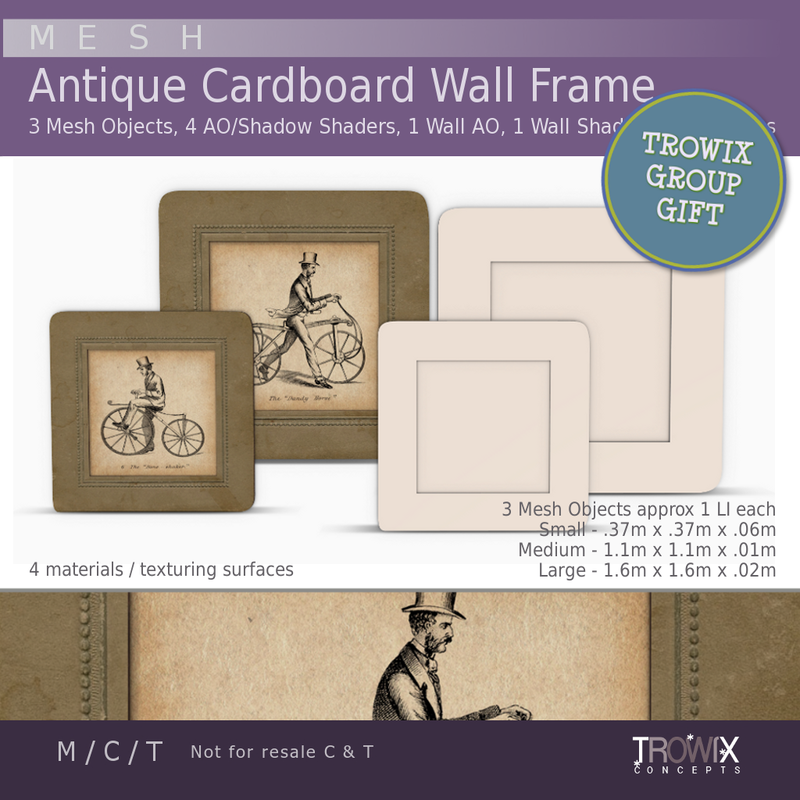 These will help direct attention in your store specials. 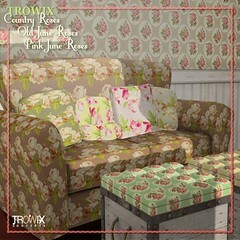 Bright, retro inspired textures to grab attention in your store or at your sales event! 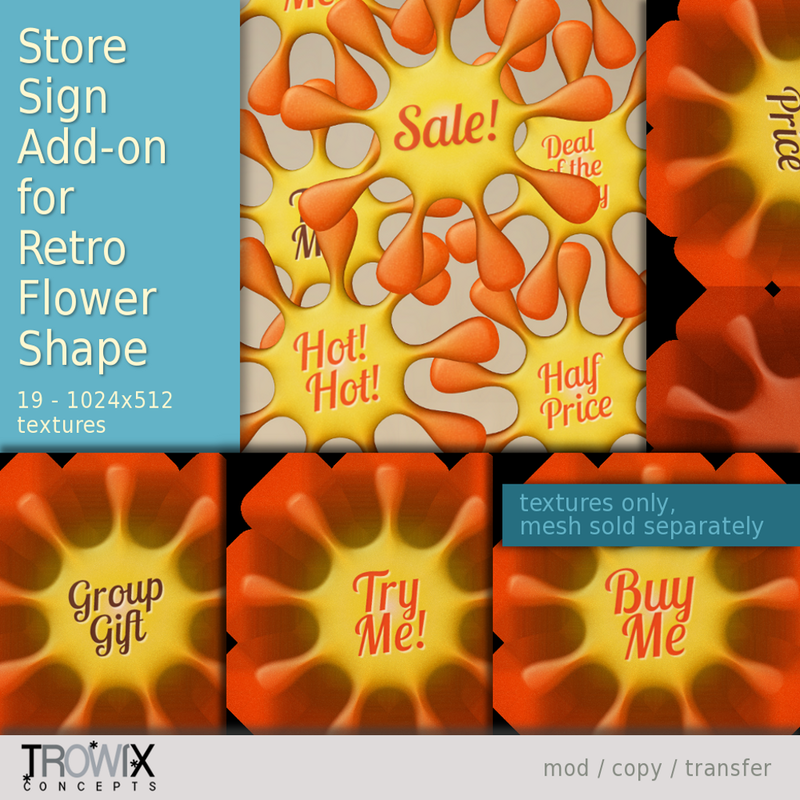 Flower Power for your store, home and garden! 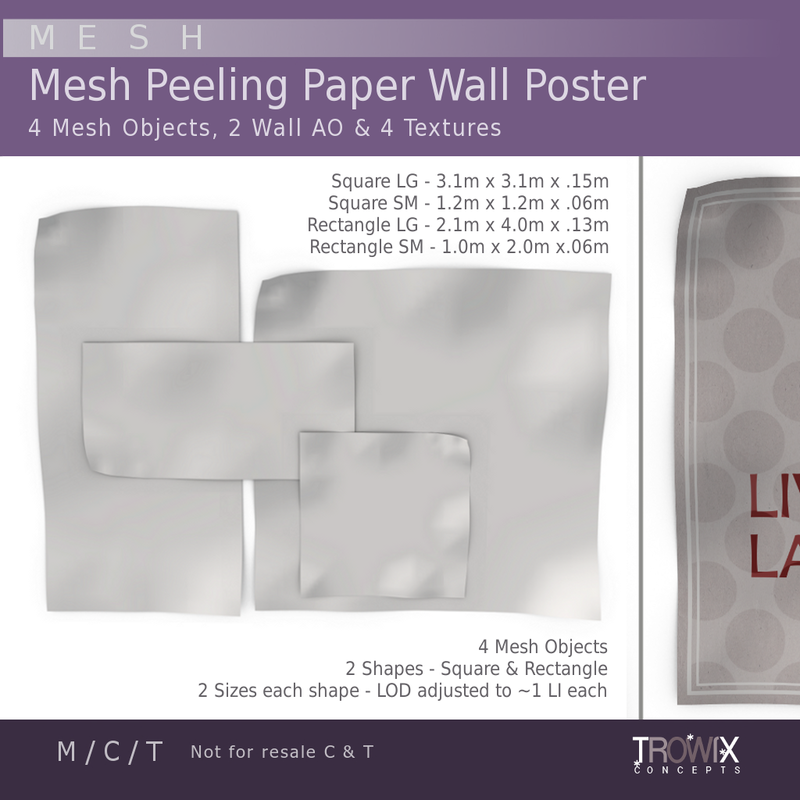 and on Second Life Marketplace – Mesh shape and add-on textures, here. 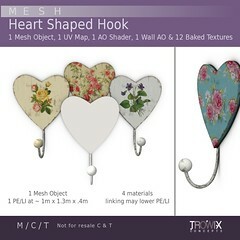 Sunny, cute, happy necklace and earrings on a fine small chain for making your own fashion accessories in unrigged mesh. Low prim count so you can rez and work on larger sizes without running off to a sandbox. 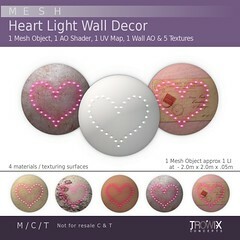 Original, just for SL, mesh. We have also included some baked textures. 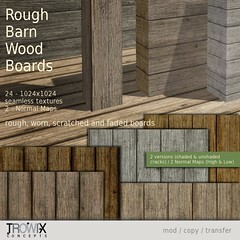 You can texture these in-world or in photo-editing programs, we have included all you need. 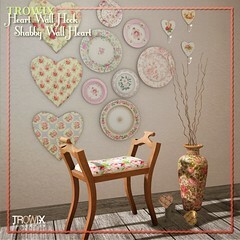 Try a wood grain texture for a fun retro look! 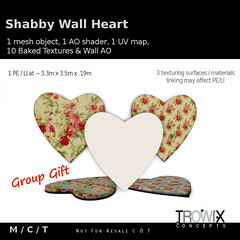 Add a bit of “special” to your day or your outfit! and on Second Life Marketplace, necklace here, and earrings here.